Our dedicated team of auto mechanics at Ponder Auto Repair in Johnson City want to keep you safe and comfortable on the road at all times with no unexpected hassles and inconveniences. Staying on top of engine cooling system repairs is recommended to make sure your automobile is running smoothly and safely at all times. Our expert team of highly proficient, ASE-Certified auto mechanics is your best bet for engine cooling system repairs, plus any general car repair. We pride ourselves in having loyal customers, and our mission is to help them stay safe on the road with the certainty that their automobile is in the best condition possible. Our highly knowledgeable team of auto mechanics at Ponder Auto Repair in Johnson City encourage our clients to visit us for engine cooling system repairs because it's an important part of being a car responsible car owner. Similar to how the human body works, your vehicle is designed to cool itself. If your automobile becomes overheated, your engine can overheat, and that could result in major car failure. Overheating can be caused by an engine that's too hot, and if the engine is too cold, it emits dangerous pollutants into the environment. Our team of dependable and personable ASE-Certified auto mechanics at Ponder Auto Repair in Johnson City can take care of your automobile's engine cooling system repairs and any other car repair service. Our team of auto mechanics has the experience, expertise, and current technology to accurately inspect and repair problems with your automobile's cooling system. Since 1982, Ponder Auto Repair has been providing Johnson City and surrounding areas with world-class auto repair service. Come visit us, have a cup of coffee, and see why we're your #1 one choice for state-of-the-art car repair services! We take pride in the high quality of our car repair services, technicians, reputation, technology, and equipment at Ponder Auto Repair. We stand behind our work so our customers can rest assured that they're in capable hands and will receive exceptional car repair services when working with our professional auto mechanics. 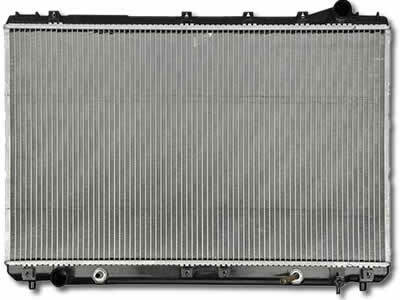 To schedule an appointment with us for cooling system repairs or any other auto repairs, contact us. We are located at 915 West Market St., Johnson City, TN 37604.